Saying “rules are meant to be broken” seems too strong, so let’s go with this: Rules are meant to be tweaked. In my article of Saturday, August 25, I detailed why I decided to double the position size of cigarette-maker Altria (MO) in DTA’s Income Builder Portfolio. 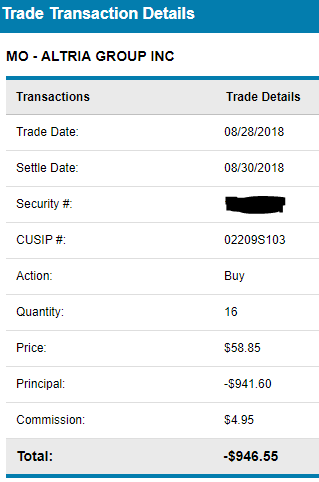 On Tuesday, August 28, I executed a purchase order for 16 shares of MO on Daily Trade Alert’s behalf. With the buy, the IBP now owns 31.3438 shares of Altria, and the position is projected to pay out approximately $100 in dividends over the next year. That represents 20% of the $500 in anticipated future income for the portfolio’s 15 current positions combined — double the 10% limit. 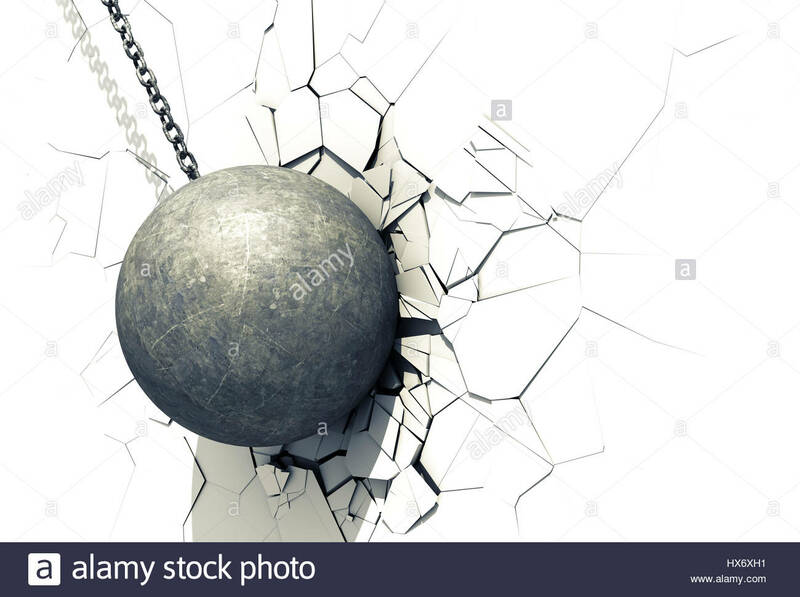 So it would appear that I’d need to take a wrecking ball to the rules rather than just “tweak” them, right? The IBP makes two buys per month; therefore, eight purchases (at a cost of roughly $8,000) remain in 2018. 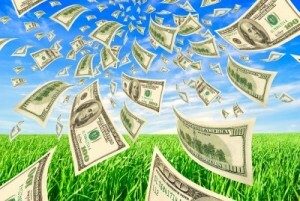 If the companies yet to be bought combine for an average yield of 3%, that would bring the portfolio’s total projected annual income production to about $750. In that case, MO would produce less than 14% of portfolio’s income at year’s end, and that’s much closer to the 10% limit. 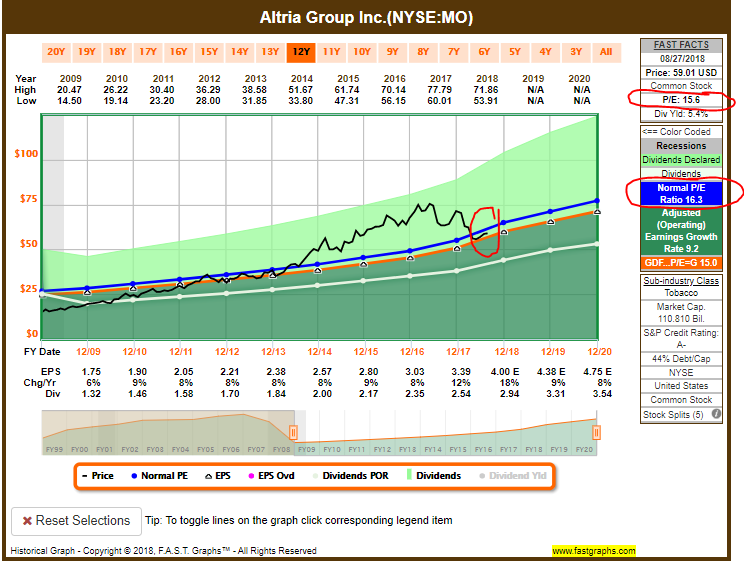 By mid-2019, assuming that no more Altria is bought for the portfolio (other than fractional shares via dividend reinvestment), MO should fall comfortably below the 10% threshold. The Business Plan allows for revisions (as explained below). 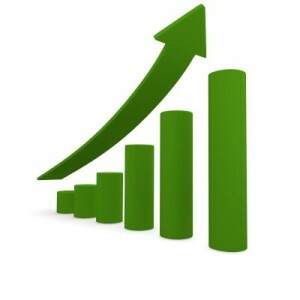 The whole idea of the IBP is to build a real-time, real-money portfolio from scratch using the Dividend Growth Investing strategy. I am comfortable that this MO purchase does not violate the IBP’s mission and spirit, and I will update the plan at the end of the year. Now, Let’s Talk Some Serious Divvies! 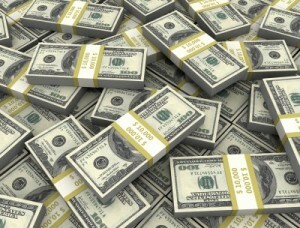 Its record of paying and growing dividends is one of the best anywhere. 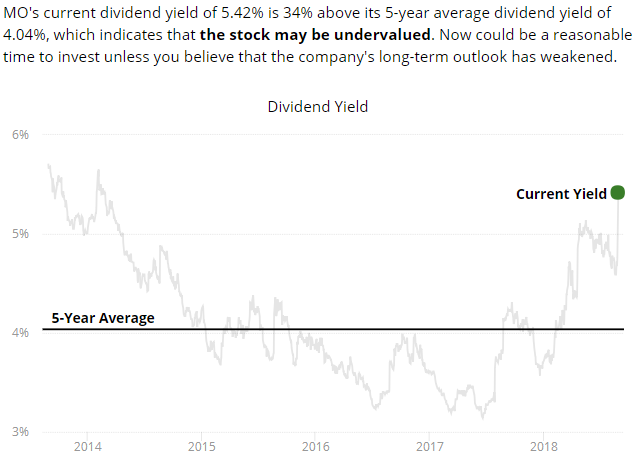 Having raised its payout by 21.2% this year, MO’s annual dividend is $3.20 and its yield is nearing 5.4% — the company’s highest yield since just after the Great Recession. At the quarterly rate of .80, the IBP’s 31.3438 shares will generate $25.08 on the next pay date (Oct. 10). Because we reinvest all dividends, that would buy .42 of a share if MO is still $60-ish in October, increasing the share total to about 31.76. Come January, that would result in a dividend of about $25.41 — which would buy another small piece of MO stock as we build the position and its ever-growing income stream. And on it goes, explaining why we named this project what we did. Altria’s yield is considerably higher now than its 5-year average of about 4%, and Simply Safe Dividends makes the case for that being a sign of undervaluation. 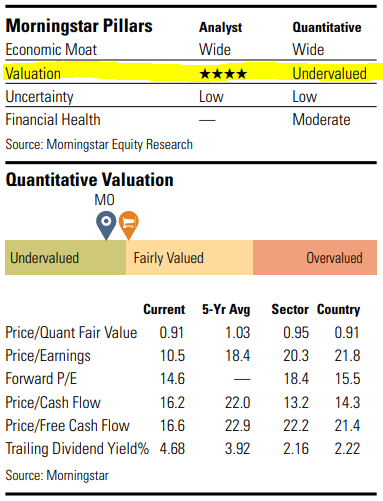 According to Value Line, Altria’s “Relative P/E” of just about 1 indicates that it is fairly valued. In addition, VL has assigned MO a target price range of $80-$110, allowing for appreciation of some 85% over the next 3-5 years. 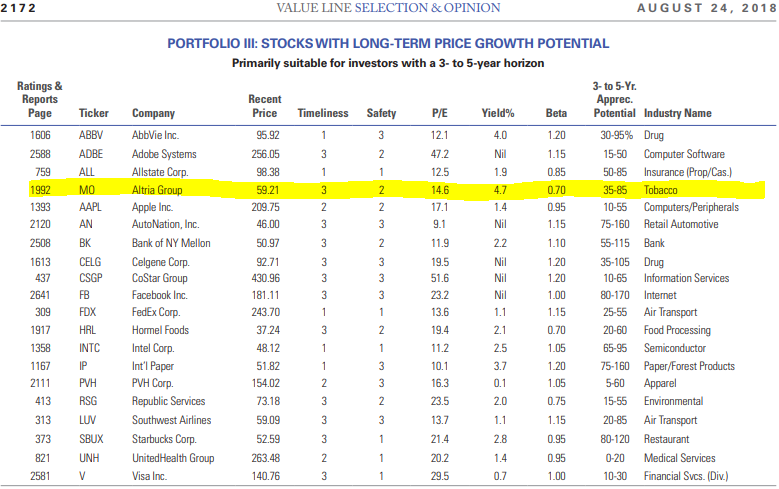 Value Line also placed Altria in its model portfolio of “Stocks With Long-Term Price Growth Potential.” MO was easily the highest yielder on the list even before factoring in the recent dividend raise. 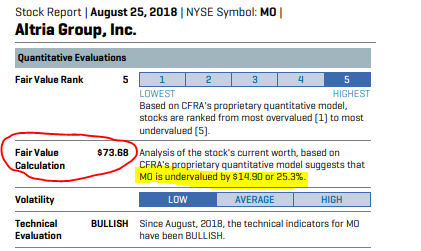 CFRA’s analysts say Altria has a fair value of nearly $74, so they believe the company is significantly undervalued. 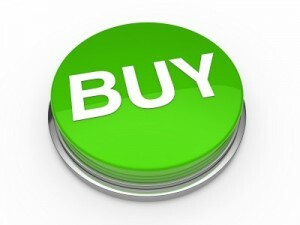 Argus calls Altria a BUY, with a target price of $70. Here is a FAST Graphs illustration showing Altria’s price and “blended P/E ratio” since the company spun off its Philip Morris International (PM) group in 2007. MO’s current P/E of 15.6 is lower than its norm of 16.3, as indicated by the end of the black price line falling below the blue Normal P/E line. It’s been more than 4 years since the P/E ratio was this low. Although Altria’s dividend gradually will represent a lower percentage of the IBP’s income stream as purchases of other companies are made, I remain extremely confident that the actual “divvy dollars” produced by MO will keep climbing. For nearly a half-century — through wars and political unrest and financial crises and numerous challenges to its business model — MO has grown its dividend. With its recently announced increase, Altria became the third-largest income producer in my 47-company personal portfolio. So it was not difficult at all for me to justify making it No. 1 in the IBP.